Missing teeth, whether due to tooth decay, gum disease, or trauma, can impact a person’s self-confidence. Many people refrain from smiling and avoid social situations out of fear of embarrassment. Finding a way to restore your smile is very important. With so many options for replacing teeth, patients can be overwhelmed. Dentures may be the best choice for many because they are less expensive than the alternatives. Dentures are effective in filling the gaps of missing teeth and supporting your facial structure to maintain your appearance. Depending on the situation, patients may need either partial or full dentures. 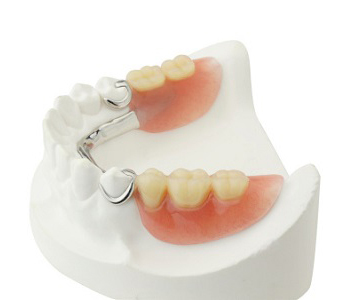 Partial dentures are utilized for one or more missing teeth and fit in and around existing teeth. Full dentures are used to replace an entire arch of teeth which could be the top, bottom, or both. Many patients are worried that dentures will be uncomfortable or unnatural. With an extremely skilled and experienced dentist like Dr. Stewart, patients in Lakewood, CO can be sure that their smile will look natural. Dentures do require an adjustment period as patients become accustomed to the feel and train the muscles in their mouth to work with the dentures. After a few weeks, you will no longer feel awkward with your new, beautiful smile. The team at South Lakewood Dental offers other restorations to improve the appearance and health of your mouth including bridges, implants, and veneers. At South Lakewood Dental, you will receive exceptional dental care in a supportive and compassionate environment. If you are suffering from missing teeth, call our office today at (855) 233-0023 and schedule an appointment to discuss your options.